Nothing says that you love someone more than breakfast in bed? Why? Because it requires planning and forethought! You can’t make someone breakfast in bed unless you’ve planned it the night before. If you leave it to chance, you’ll likely sleep in longer than the person you wanted to make breakfast for. So it shows your loved one that they matter….they matter enough that you planned ahead to surprise them! At least, that’s how I feel when I’m woken up by a special tray of yumminess….I feel SO loved! And what’s the perfect Valentine’s Day breakfast…well, in our house it’s crepes!!! My kids can’t get enough of these. And I think I’m pretty darn good at making them. So confident in fact that I’ve challenged my French buddy to a crepe off….but he hasn’t set a date, so I think he’s scared!! I started by making the crepe batter. I adapted a recipe from Cooking A to Z by Jane Horn and Janet Fletcher (click here to buy). Blend all ingredients. You can use a blender of a food processor or I use a handheld blender. Blend well until the mixture doesn’t have any lumps. 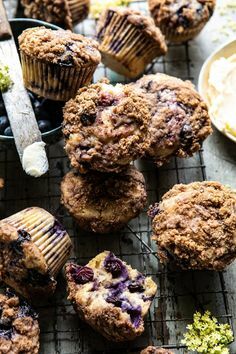 You can cover and refrigerate, but I usually use the batter right away. Heat 1 1/2 tsp. of vegetable oil in a nonstick pan over medium high heat. I use a 10 inch pan. Once hot, pour enough batter in that you can swirl it around the pan and cover the bottom. Cook about 1 minute until just golden and then loosen the edge and flip with a spatula. Cook the other side for about a minute as well. NOTE: As you cook the crepes, you may want to turn the stove down to about medium heat as the pan starts to heat up over time. Cook the raspberries, sugar and water in a saucepan over medium heat until the raspberries are fully thawed and the mixture starts to come to a light boil. In a small bowl, mix the cornstarch and water until there are no lumps and it is smooth. Add the cornstarch/water mixture to the boiling raspberries and stir for about 2 minutes. Let cool. 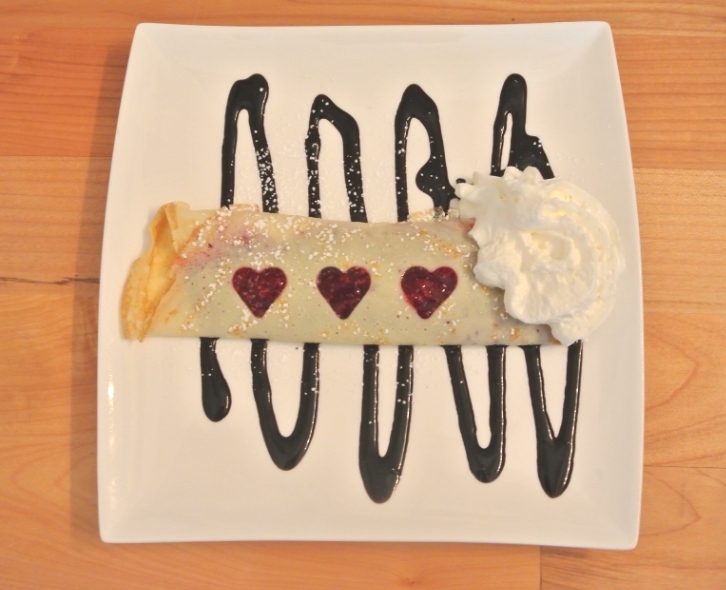 Here’s the Valentine’s twist….I used a small cookie cutter and punched out three small hearts from the center of the crepe. I then folded it, added some raspberry sauce and folded the part with the hearts on top so that the red sauce showed through the hearts. I randomly scattered some chocolate sauce on a plate, added the crepe and some whipping cream. Voila!!!! Take two….I used a medium size cookie cutter and just punched out one heart and used the raspberry sauce. I dusted it off with some icing sugar. Pretty simple, but pretty, yes?? And tasty too! I’m sure your loved ones will feel totally spoiled by Valentine’s crepes for brekky!